The San Francisco Film Society has announced that British actor/director Kenneth Branagh will be the recipient of the Founder’s Directing Award at the 55th San Francisco International Film Festival, which takes place from April 19 to May 3. (April 19 – May 3). 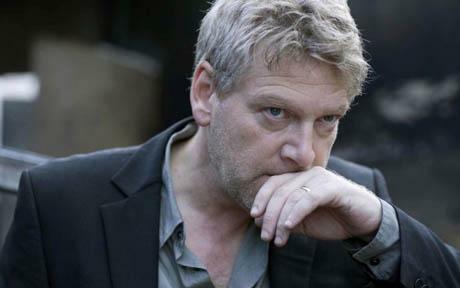 The FDA will be presented to Branagh at Film Society Awards Night, Thursday, April 26 at the historic Warfield Theatre. Branagh, who was nominated this past year for a Best Supporting Actor Oscar for his incarnation of Sir Laurence Olivier in the film MY WEEK WITH MARILYN, will also be honored at An Evening with Kenneth Branagh at the Castro Theatre at Friday, April 27. An onstage interview and a selection of clips from his impressive directing career will be followed by a screening of DEAD AGAIN (1991). “We are thrilled to honor Kenneth Branagh for his remarkable directorial achievements and multifaceted career at this year’s Festival,” said Melanie Blum, the San Francisco Film Society’s interim executive director.